Have you heard of the Smart Smencils? 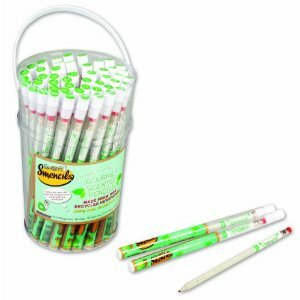 These pencils are eco-friendly with a scent of peppermint, which is said to improve alertness and cognition. You can buy a Bucket Of 50 Peppermint for just $18.99 (Retail $65). Ships free with Super Saver Shipping or Amazon Prime. Check to the right to find this price….look for other buying options, buy directly from Amazon! Has this deal expired? I can’t seem to find it. Looks like it it sold out at that price.